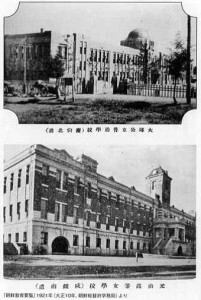 This book outlines details of the Japanese rule of the Korean Peninsula since it was annexed in 1910 with a variety of photographs taken during that time. The author conducted extensive research of government notices and announcements as well as articles and photographs listed in newspapers and magazines during the annexation period. 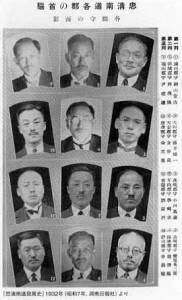 The photographs show how the Japanese government ruled the Korean Peninsula in the categories of government and judicial system, security and public order, educational system, imperial household, industry and land management, transportation, public health, military service to name a few. The book has 142 pages and all pages contain photographs taken during this period. This synopsis outlines the content of the book briefly. 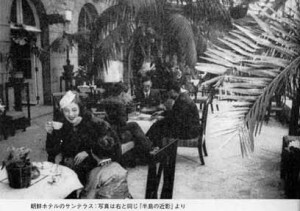 Unlike Taiwan, there has been significant misunderstanding and lack of discussion of Japanese rule of the Korean peninsula during the annexation not only in Korea, but also in Japan and other Western countries. The author wanted to shed a light on this issue through photographs taken during the period. Korea was ruled through the colonial government. 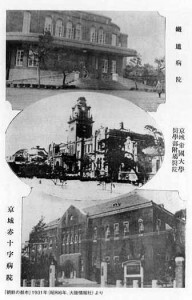 The government established local councils for cities and towns. Koreans were given rights to run for public offices along with the right to vote for council members. This right was also granted to Japanese residing in the peninsula. 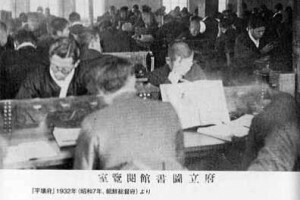 Members of the local government staff were also recruited from among the Koreans and Japanese residing in the peninsula. 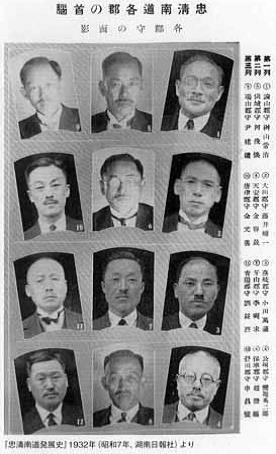 Many senior positions of local governments, such as senior prosecutors and police officers, were Koreans. Koreans living in Japan had the same civil rights as Japanese. This applied not just to Koreans, but also to the Taiwanese. Park Choon-Geum was a Korean national who came to live in Japan and was elected as an MP of the Imperial Japanese Diet in Tokyo’s electoral district. 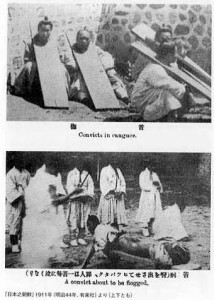 The colonial government introduced the family registration system in 1909 and abolished a slavery class called Baekjeong. The ruling elite class, Yangban, protested against this change, but their protests were suppressed by the colonial government. name to a Japanese name. 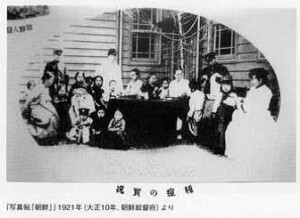 Japanese Edo government signed unequal treaties with major Western powers during the mid 19th century and did not have judicial power over Europeans living in Japan. 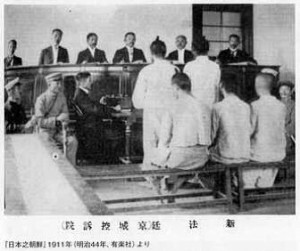 To avoid these unfair treaties with Korea, the colonial government introduced the modern judicial system in Korea based on the rule of law. Korean peninsula was notorious for its local and cross border burglars and bandits. They robbed not just merchandise, but also infant children to be sold to brokers in China. The colonial government introduced a police network in Korea to manage public order and security. 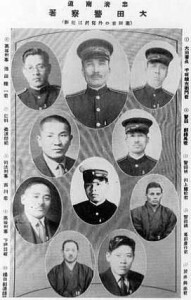 Many policemen were locally recruited Koreans. 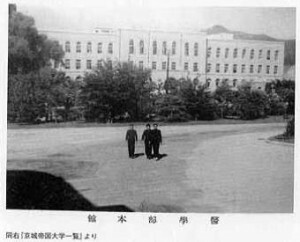 The colonial government established Seoul Imperial University, currently Seoul University, in 1924. The university is the sixth national university of the Japan National University system. 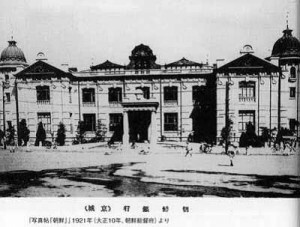 It was established before Osaka and Nagoya Imperial Universities. 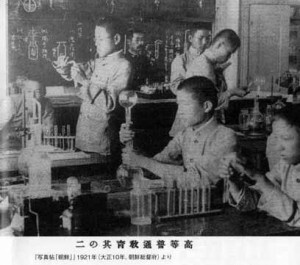 The colonial government also introduced the school system to educate the entire Korean population. 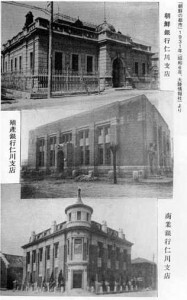 The school buildings were made of brick and mortar as opposed to wooden buildings in Japan. 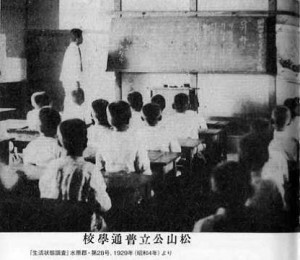 Korean children were educated in Hungul and Kanji. Hungul was developed in 15th century in Korea, but was not used widely until Yukichi Fukuzawa helped to eintroduce Hungul along with Kanji to improve the literacy level of ordinary Koreans. Education was offered to both boys and girls equally. 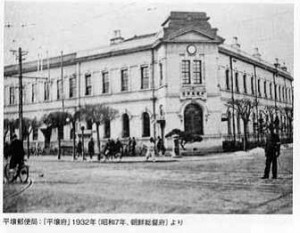 The colonial government also established a network of libraries throughout Korea to improve literacy of ordinary Koreans. 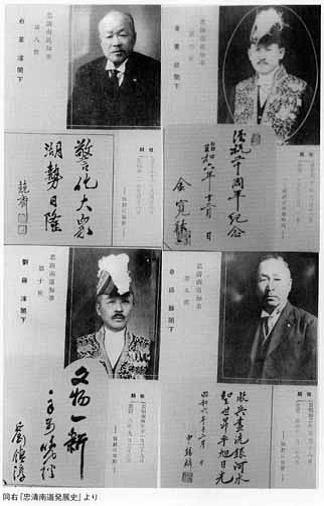 Some members of the Yi clan were maintained as the new royal family of Korea. Princess Masako Nashimoto married the Crown Prince Euimin and became Princess Bangja. She devoted herself to the education of mentally and physically handicapped Korean people. She was adored as the “mother of the handicapped in Korea”. She kept living in Korea even after Korea became an independent nation and died in 1989 at the age of 87. Her funeral was held as a semi-state funeral and she was buried beside her husband near Seoul. 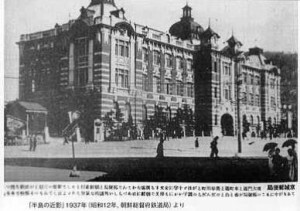 The colonial government encouraged Japanese companies to make investments in Korea. 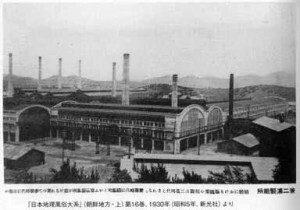 Many companies built factories and power stations in Korea, employing millions of Koreans. 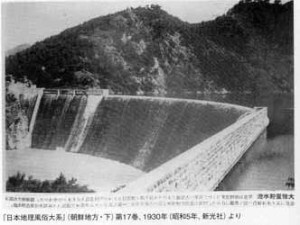 The government invested in the construction of dams and modern waterway systems to improve agricultural production. The government conducted a detailed land survey from 1910 to 1918 and nationalized properties whose owners could not be identified. These lands were given to peasants who did not own land previously. The government invited many scholars specializing in agriculture from Japan to improve soil quality and seed variables suitable for Korean soil and weather. 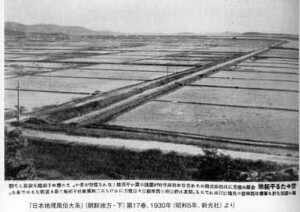 The agricultural land was doubled and made Korean peninsula self-sufficient in meeting its food demand. The colonial government also spent vast sums of money to improve the devastated land and mountains of Korea. The government planted many trees, including cherry blossoms, in the mountains. Some spots are very popular among Koreans today during spring blooming season. 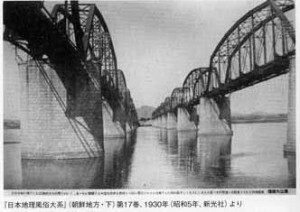 Railroad construction in Korea started in 1894 with funding from the Japanese government. After annexation, the colonial government expanded the railroad network. The gauge of the railroad in Korea was the same wide gauge that is used on the Shinkansen track of Japan so that trains could run much faster. The network extended to 4525km by 1942. 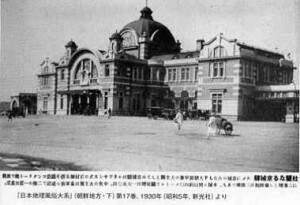 The line was connected to the network in Manchuria. There was a direct express train from Pusan to Beijing. People could travel from Korea to Europe through its connection with the Russian railroad. The colonial government also invested in projects to improve port facilities in Korea to promote its international trade. Sanitation and public health conditions in the Korean peninsula were very poor until the end of 19th century. 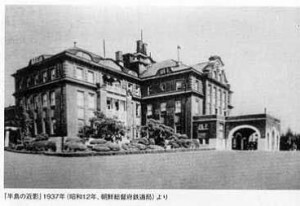 The first Governor-General Hirobumi Ito issued a directive to improve public health and sanitation in Korea. He established the first medical school to train Koreans to become doctors and nurses. The colonial government also introduced a nation wide immunization program to prevent smallpox. 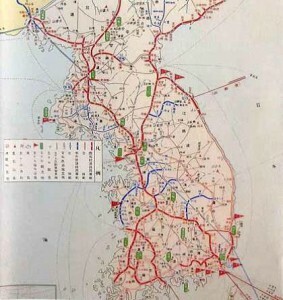 The public health situation in Korea was substantially improved during the annexation and the population of the peninsula doubled during the annexation. Korean people have been exempt from being drafted into the military service until the very last years of WWII. However, they could volunteer to serve in the military if they wished. 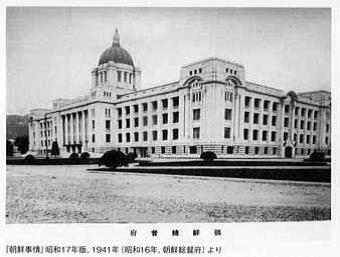 Many Koreans went to study at the army and naval academies in Japan. Some of them have been promoted to the rank of generals like Hong Sa-ik. The father of the newly elected president Park Geun-hye, Park Chung-hee, graduated from the Japanese military academy in 1942 and became an officer of the army. His final rank at the end of the war was First Lieutenant. The book is written to show that Japanese rule of Korea and Taiwan was fundamentally different from the colonial rules of African and Asian continents by the Western nations. 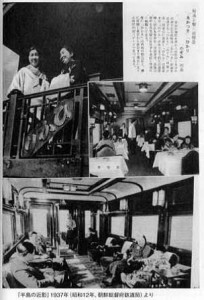 The Colonial Government modernized the territories’ basic infrastructures and improved people’s literacy and their standards of living with the fund provided by the Japanese Government. Many dams, factories and buildings built during the annexation period are still used today. After World War II, Korea and Taiwan became two leading new economies based on the well-educated populace and infrastructure. Born in 1950 in Hokkaido Japan. Studied at the Law School of Keio University. Instead of finishing school, he became a critic of films and documentaries. He wrote several books about 20th century history of Japan, China, Taiwan and Korea. The publisher of this book in Japan is PHP Institute.